The startup ecosystem has been in steady growth over the past several years with seemingly more and more choosing to forego a conventional career in favor of pursuing their own company. Undoubtedly, multi-billion dollar superstars in the likes of Google, Facebook, and Snapchat have painted entrepreneurship in the kind of sexiness and glamour typically reserved for Wall Street or Hollywood. But as we all know, the marginal success rate for startups belies such an image, and while it may be easier now to start a business than it was fifteen years ago, the amount of risk inherent to starting up remains significant enough to prevent many entrepreneurs and innovations from reaching their markets. The market inefficiencies herein are such that many entrepreneurs lack the necessary access to resources, the most important of which being sources of quality capital. The advent of startup accelerators and incubators have helped engender a more conducive economic environment for entrepreneurs in Silicon Valley, but venture just as far as Los Angeles and the need for a better infrastructure becomes immediately evident. “Is there enough capital in LA? No,” said Erik Rannala, co-founder of Los Angeles-based startup accelerator MuckerLab, while speaking at the LA Tech Summit in November. This presents itself as an iteration of the classic chicken-and-egg problem – investors want to see greater startup success before deploying additional capital, but startups need greater funding in order to attain the rates of success that investors want to see. Last year’s passage of the Jumpstart our Business Startups (JOBS) Act was an important step in the right direction. The law has made it such that private companies can now publicly advertise that they’re raising capital, something which had previously been prohibited in the interest of protecting unsophisticated investors from risk and fraud. That layer of protection now comes in the form of requiring companies that are publicly raising capital to verify that their investors are accredited investors – usually meaning that they meet a certain threshold for net worth or income. Ideally, this opens up the doors for early-stage companies to reach a broad investor audience and gain wider access to capital than before – advertising fundraises on Facebook, Twitter, and even television now are all fair game for companies seeking new investors. But the compliance restrictions imposed by the SEC mitigate this benefit by making it costly for companies to verify that their investors are accredited – the necessary lawyer fees can be daunting, especially for early-stage ventures with little to no revenue. VerifyInvestor.com recognizes the need for a way of startups to take full advantage of the JOBS Act by providing a convenient and cost-efficient means for companies to verify their investors’ accreditation status, making it easier to raise capital. By making the otherwise cumbersome process of verification into an elegant, online solution, VerifyInvestor is able to better protect investors’ security while empowering startups to reach greater sources of capital, thus bringing upon a meaningful change in the startup ecosystem. We are excited to be participating in what could be a key inflection point for the startup industry. With equity-based crowd funding (another measure of the JOBS Act) currently being legalized, we may expect to see a decentralization of funding power from VC’s and institutional investors to individual angels and even the general public assuming that we can adopt these laws in ways that make sense for both entrepreneurs and investors. Even many venture capitalists I’ve spoken to considered crowd funding as a useful means of validating consumer interest in a startup, indicating a strong investment opportunity, or otherwise of providing alternative capital sources to some ventures for which VC funding might not be appropriate. The JOBS Act has the potential to revolutionize the way we fuel innovation, and as our economy becomes increasingly driven by companies built upon innovations in technology, it is crucial we allow entrepreneurs every opportunity to realize the value potential of their products and ideas to sustain a competitive advantage in the global economy. Like any growing industry, the startup ecosystem needs adequate infrastructure to support it, and the new fundraising laws will help pave the way for everyone including entrepreneurs, angels, and small-time investors to play a part in developing a stronger environment for commercial innovation. Brandon Foo is Director of Operations of Los Angeles, California-based Verify Investor, LLC. (818-925-6701, VerifyInvestor.com), a company specializing in compliance solutions for the future of fundraising, offering accredited investor verification services to both investors and companies or funds raising money. 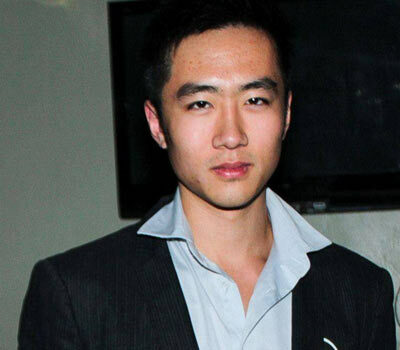 He is a student in mathematics and economics at the University of California, Los Angeles, where he is also Vice President of the student organization Bruin Entrepreneurs.